Is this European host any good? Hostinger was founded in November 2004, and they’ve become a web hosting powerhouse ever since. 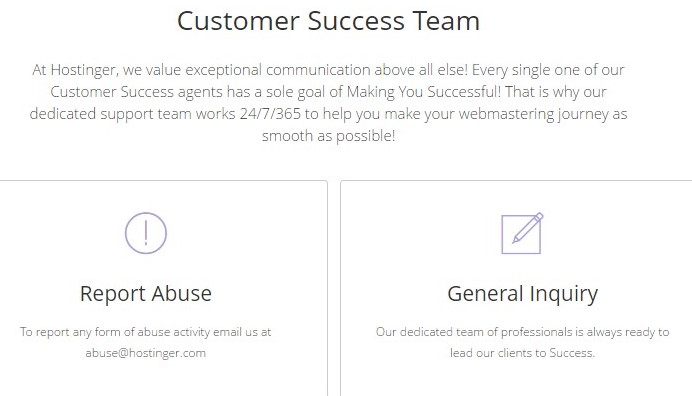 They’ve shot up to over 29 million clients using Hostinger in 178 countries. There’s a reason that 20,000 new clients sign up to use their services every day. 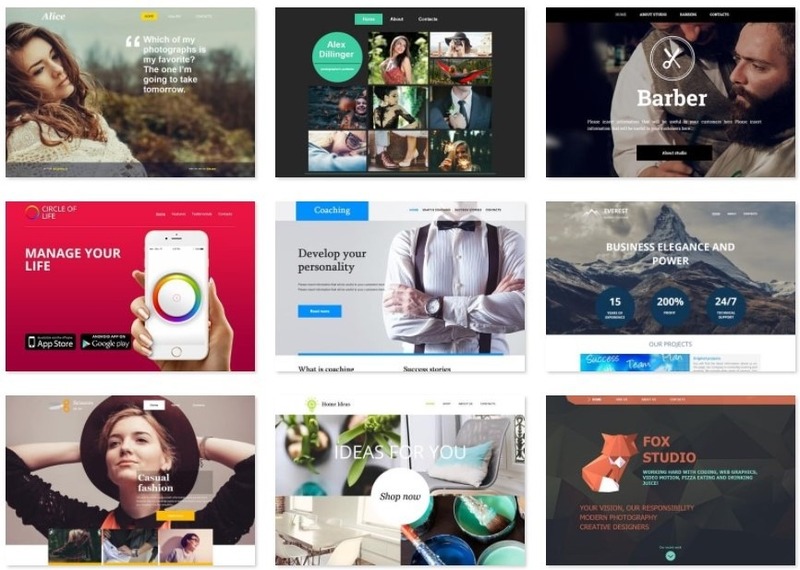 The company allows you to create a website with complete freedom. What is Hostinger? Where Did They Come From? In 2007, they became 000webhost.com, a free web hosting service with no advertising. Then, in 2011, the Hostinger web hosting brand was born. By 2012, the company had expanded internationally with a new incorporation in Cyprus. By May of 2014, Hostinger had already exceeded a user base of ten million people. By January of 2017, the user base had grown to 29 million people. That’s pretty impressive growth in just over a decade. And the company boasts tons of unlimited and free features. But are all those extra perks truly unlimited and free? We checked it out for ourselves so you wouldn’t have to, paying for a real, live plan with Hostinger. After that, we set up our own website and began to monitor its performance over the past year. Want to know how good (or bad) Hostinger really is? Let’s take a look at the pros and cons of this web host. Unlimited or free services don’t mean a thing if your site can’t stay online. Our site with Hostinger had strong uptimes, fast speeds, great support, and more. Uptime is the most important thing to check out when considering a web host. Hostinger seemed to perform pretty well in this area except for every few months it seems to spike a lower overall. In March our site experienced an uptime of 99.88%, which is about an hour of downtime for the month – not good! Fast page loading times are vital for any website user’s experience with a site. Have you ever headed to a web page only to get stuck waiting on the site to load for what seems like ages? Moreover, you probably didn’t stick around for long. If a website takes more than three seconds to load, 40% of people abandon it, according to Neil Patel. Hostinger boasts servers in the USA, Asia, and Europe (UK). Each is reportedly connected to a 1000 Mbps connection, which ensures that loading times are stable. How did they fare in our tests? In average, page loading times were 385ms. That’s 79.43% faster than the industry average of 890ms! Hostinger offers tons of different payment options like Visa, Paypal, Mastercard, Discover, Bitcoin, Maestro, American Express, and JCB. They also offer a 30-day money back guarantee. So you can try them out and get your money back if the performance or experience is subpar. Be aware that not all products are available for refund, and some products have special refund terms, according to Hostinger’s Refund Policy. We’ll save the details for the cons section below. Customer support can either make or break a web host. If your site is down for some reason, and you’re unable to get in touch with a customer support person ASAP, you might lose out on a ton of sales. Hostinger doesn’t disappoint. The company offers multilingual customer support team, live chat and they integrated Intercom as their main support system. We had to wait under 1 minute for a chat support agent to connect and another minute for the answer, which was amazing. And their knowledge base articles are short and comprohensive, they include gifs and images on how to do something. Mindaugas answered our questions quickly and with a great use of language. 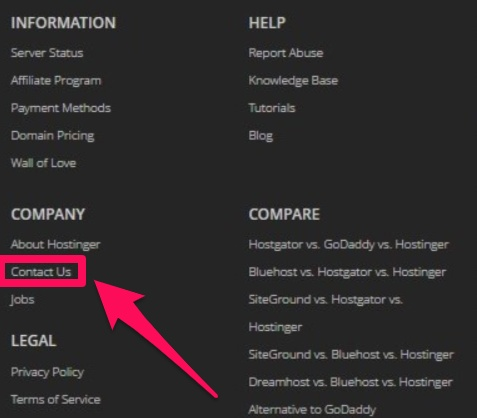 To get in touch with Hostinger without being logged in, click the “Contact Us” button at the bottom of their site. Then, you’ll be taken to a page where you can choose whether you’re looking for a support to report an abuse or submit a general inquiry ticket. To submit a ticket, you’ll have to submit your name, email, and your message. Hostinger also has a huge knowledge base as well as tutorials(Everything from website building to SEO). Where you can find guides, information, and answers to questions by yourself. You’ll also get a free website builder (although the popular website builders are better) with Hostinger’s services with any plan you choose. There are tons of different templates to choose from, too. Once you’ve chosen a template, you can customize everything in your pages right from Hostinger. Free domain names are available with Premium and Business web hosting, which will save you a bit of money in the long run. 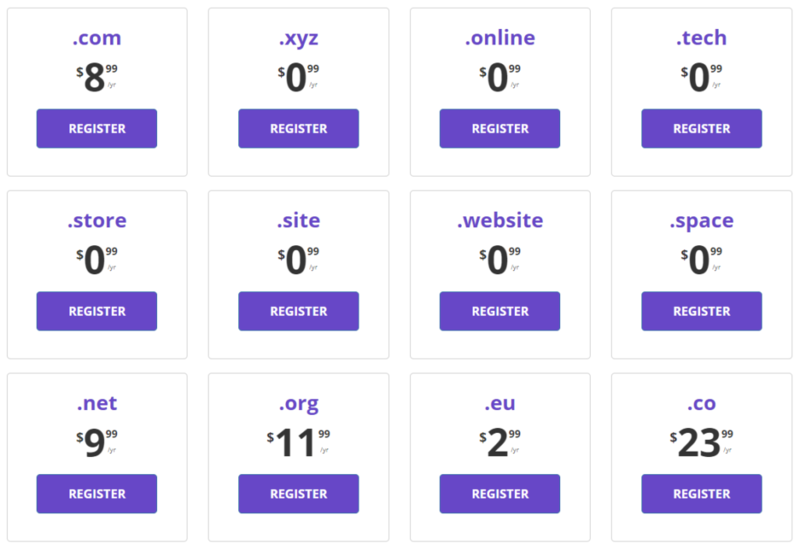 You will have to pay extra for more than one domain. More on that later. Hostinger offers a modern, easy-to-use interface where you can find everything you need all in one location. That way, you can track logins, update billing information, manage your domains, and monitor emails from your dashboard. The control panel isn’t a traditional cPanel, but large icons make it simple to find exactly what you need when you need it. Some advanced users might miss cPanel. But otherwise, this version is great for beginners who don’t want to be a software engineer to figure out how to get a simple website up and running. If you sign up for one of the top two Hostinger plans, you’ll gain access to unlimited email accounts for free. Managing those accounts right from the control panel means that there’s no guesswork about spam filters, usage, and more. You can set up autoresponders, enable or disable accounts, and forward emails sent to a customer’s domain. Bandwidth and databases are unlimited unless you choose the “Single Web Hosting” plan. With the latter you’ll be limited to 10GB of disk space, 100GB of bandwidth, one MySQL database, and one email account. 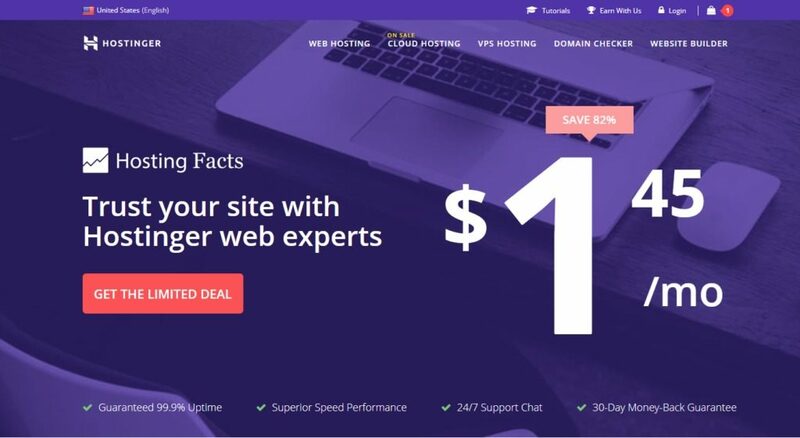 Tons of web hosting companies promote their prices in a false light. Hostinger is one of them, although they do it in a more clear way than many others. For example, if you want to take advantage of the awesome $1.45 per month deal for Single Shared hosting, you’ll have to commit to Hostinger for 48 months and after the 4 years you’re renewal cost will jump up to $7.99/month. If that’s a bit much for you, we have also listed best free web hosting services. If you’re willing to be stuck with the same web host for four years, then it’s incredibly cheap for that time. That could save you quite a lot over a long-term period. There’s no true option to pay month-to-month, either. Even more positive is that the service they offer is pretty good compared with the rest. There’s a lot to love about Hostinger’s uptime, loading speeds, support quality, and features. But there are some drawbacks to think about. Unfortunately, no perfect web host exists. They’ve all got drawbacks or warts. The trick is knowing which ones you can live with and which ones are the deal breakers. If a company doesn’t offer live chat, they’re seriously depriving their customers. Hostinger’s live chat option is only available if you’re logged into a Hostinger account. That means that if you’re not a Hostinger customer but you’ve got questions about migrating your site over to them, you can’t chat live with a customer service representative. We’re glad that Hostinger offers live chat, but it would make more sense if they offered it to everyone. Accessing the live chat is extremely easy, once you’ve logged in there is instantly an icon in the right bottom corner. Then, just click on it to connect with their customer service. A staff member should connect to you in a matter of minutes. 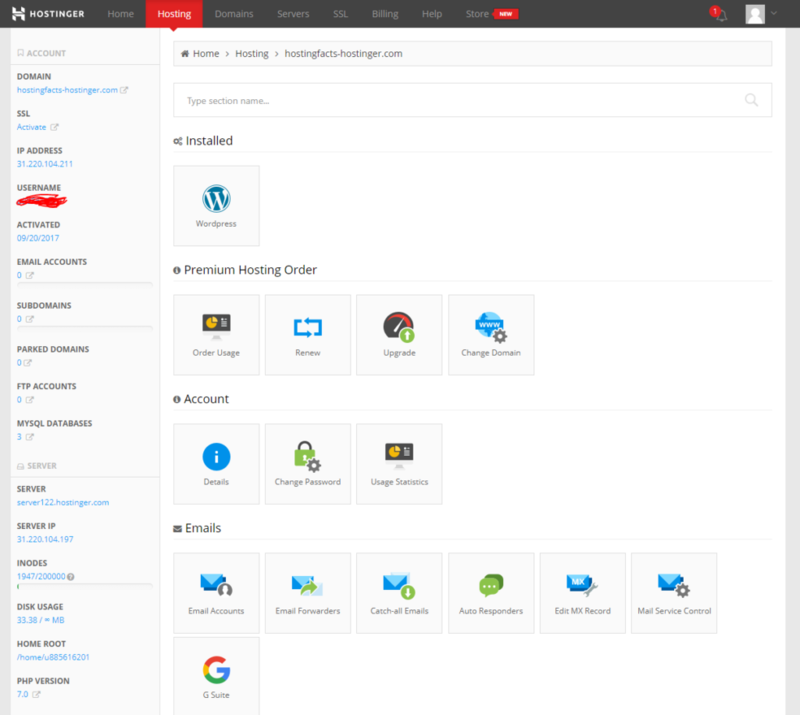 Hostinger has created their own control panel, making their web hosting easier to use than most others. If you’re already accustomed to using a traditional control panel, like cPanel, you might not like their dashboard. Therefore, advanced users might not love this part. Redemption fees, domain name renewals, and privacy protection are not refundable. Most new domain name registrations are only refundable if canceled and processed within four days of registration, not 30 days. Keep these exceptions in mind before moving forward. One domain name registration is free for users who opt for the Premium or Business shared hosting plans as well as with all annual Cloud hosting plans.. However, additional domain registrations aren’t free. They’re definitely affordable, though. Domains with the extensions “.com” and “.net” are under $10 per year, while a “.xyz”, “.online”, “.tech” domains are only $0.99 per year. A “.asia” extension will cost you the most – $12.99 per year. If you choose one of their higher plans, you’ll get unlimited subdomains, but only one free domain name. You can also renew an expired domain name at no extra cost if the domain is still in the Renewal Grace Period. Afterward, you can still redeem the domain until day 67 with a redemption fee of $53, according to Hostinger’s Expired Registration Recovery Policy. Till the end of June, they offer a discount which brings the price down to $0.80/month. Personal free domains are included in Premium & Business web hosting plans! Single Shared Hosting: The cheapest available plan. You’ll pay as little as $1.45 per month for 48-months. After that period, it’s going up to 7.99$/month. 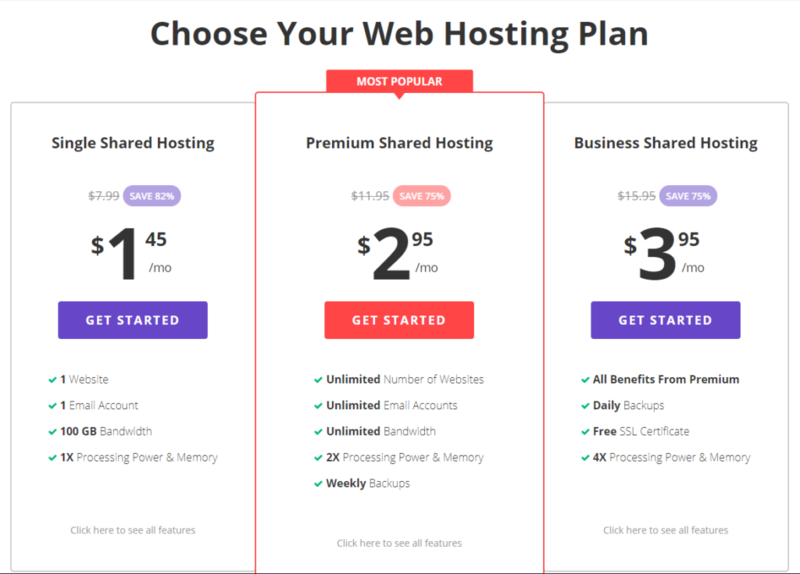 Premium Shared Hosting: This plan is the middle of the line. You’ll pay as little as $2.95 per month for 48 months. Business Web Hosting: This plan is the top of the line. You’ll pay as little as $3.95 per month for 48 months. Conclusion: Do We Recommend Hostinger? It’s VERY cheap hosting that provides very solid speed. I wish their uptime would’ve been over 99.95, though. The entry-level, Single-Web Hosting plan doesn’t offer many unlimited perks or free features. The Premium, Cloud Hosting, and Business Web Hosting plans have a lot more to offer. Uptime and page loading speeds are faster than the industry average, and you’ll get your money back within 30 days if you’re unhappy with Hostinger. Customer support is responsive, knowledgeable, and friendly. We couldn’t recommend these plans more. Please leave a review below if you’ve had any experience with Hostinger. We welcome all reviews – positive or negative – as long as they’re transparent and honest. Hostinger is a very reliable Hosting you can trust. Over the past three to four years I have been using hostinger as my main personal and clients hosting, since 2014 or so when they had a free hosting (not the 000webhost). Hostinger was recommended to me by a friend from India. At that time I was only a beginner in web development and hosting by then was very expensive and unreliable. Hostinger was my aid (Honestly speaking). Hostinger is not like other hosting that give you cheap but junk hosting. Hostinger provides you with cheap and reliable hosting. Worry not, if you are a beginner, Hostinger is just the hosting you will need to do your website yourself. It's user-friendly, their UI is awesome, and I will say this anywhere without any fear, Hostinger support is the best in the world. They will never leave your question unanswered, their support team is just awesome, most of the time when i`m asking for help, the support guys and I use to chat like buddies. Lastly, you don`t need to pay for an online training to manage your website, hostinger knowledge base and tutorials has tons of useful articles and guides you can use not only to manage your hosting and website but also you can become a pro in web development. Don`t take my word as final, try hostinger for yourself with their 30days money back guarantee and experience the greatest hosting on the planet. I hope this review help you make a great choice. I've been nothing but impressed with Hostinger's performance and customer support(or customer success as they call it). My company has been with them now for over 2 years and have only had a few minor issues which were resolved instantly. Very good service for affordable price! Contacted Hostinger support four times. Our mail form isn't working. We tried on multiple devices from different locations in the world. We also got feedback from customers that the form doesn't work. The form itself is fine because it worked on previous hosting companies and it is transferred without any alterations. Each time support tried the form and than it worked. I came to the conclusion it only works from their location because of the way they are wired to their servers. The chats on support lasted an hour or so without any result. Each time they asked for the same questions. Try a different device etc... Frustrating to say the least. The sessions ended with the message found something and that they had to enable a setting We had to wait 24 hours for it to be effective. Nothing was resolved. I never experienced anything like this. First I had to convince support multiple times it doesn't work (because it works on their end) and then there was no solution. Our site is hosted for about ten years with different companies. This is by far the worst. Don't waste your money if you have a mail form on your site. We always do everything in order to solve each and every problem. It is sad to hear that you had to face this much inconveniences. There are quite a few reasons why this issue may occur, so we need to test every possible solution until we find the right one. If you give us one more chance to make this right, we would like to investigate your case again, and make sure that you won’t face this problem in the future. Just drop us a message through your Control Panel and our CS agent will make sure to solve this case once and for all! Tried many different hosting providers, giant ones mostly. They have been taking loads of money and not giving any quality, sustainability and reliability in return. Well, that's something you would expect for paying hundreds for the web hosting, huh? A close friend of mine told me about this web hosting company - and that was something I never heard about. Affordable, I would even say cheap, service, 24/7 live chat support and decent up-time (that's what I can tell for now). What I loved the most, that even after asking dozens of questions, solving problems for more than an hour, customer support stayed professional and patient. That's what I love the most. Looking forward to working with this company, and I hope that this review will spread the word about Hostinger. More people need to know about it. I had a chance to try many different hosts for myself and my clients. I still use several different ones. Signed up with Hostinger couple weeks ago, as my client was insisting on it because of a very attractive pricing model. I have to say, the overall experience is great. Admin panel is intuitive and responsive, uptime and speed is world class and everything comes with a very competitive price. I have read some other reviews here and I am kinda unsure about email performance. However, over the past two weeks, there were no issues (we do not send or receive a lot of emails ATM, if the service will fail I will update my review). I also had a quick chat with their support and the response times are almost instant - it is really like a live-chat :D the email is my only consideration - if it proves to be properly working I might have more clients of mine hosted here. The main message for others doing a research and skimming through comments - give this host a chance if you need a fast and nice support, good performance and you want a competitive price. The team answered my long stream of questions with a professionalism that I know I could not manage! The app itself was easy to set up once the team member, who was super friendly, figured out what I was rambling on about and ended my old trial period so I could get my site up and running on my new paid Single! As for the single, it has fewer bells and whistles than I am used to but I was spoiled at the old company I was learning from, they gave me a free year of advanced business class for paying 200 dollars for their class, trying to hook me into paying 550 a year for something I didn't need nor know how to use, these guys have plenty of sales and all the necessary equipment to run a great site! I would, and will suggest this service to people in the future! Hostinger has the best customer service with quick response. I like the way they help customers including me in several situations. I gave a rating 99 percent because although they do help in hostings, the servers, on the other hand, are a bit tough to configure for amateur programmers and they only provide a bunch of materials to read for you to be able to understand how to do it yourself. The plus side is that the material is actually relevant but the downside is that it could take you weeks to get familiar with your server. The cPanel for Hostinger is user-friendly, thanks to various development tools, even the non-programmer can set up a working website in just minutes. They do provide a lifetime SSL certificate and run Curl on PHP that makes it easier for you to process any credit cards on their website. Although I have just registered 2 websites to them and 3 domains in total, I want to register 4 more domains as they provide the best solutions to my business needs. Finding the best hosting site is difficult as all the prices and up times are almost all the same, usually just a couple dollars and percentages off respectfully. For me, Hostinger trumps it all with its incredible support. They always have a couple live chat members on at a time. And these are people that know everything about hosting and websites. I am a computer programmer and a web developer. I am however not an expert at hosting. Every wildly specific issue and question I have had has been resolved in a day, with refreshing enthusiasm. I have had no problems with load times or down times either, but I feel that Hostinger's value really comes from its available support. I am using Hostinger for 6 months and their services are really good and they are improving them day by day. 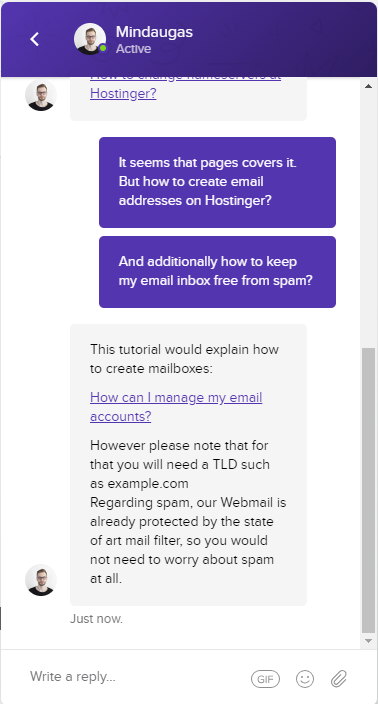 I remember when it was my first time on Hostinger I faced some problems related to SSL certificate installation and I just contacted their live chat support and they replied back to me in no time and fixed it manually. With Hostinger my website faces no downtime and its speed is really good. I use both shared hosting and VPS. Their custom cPanel is simply amazing and reliable. I thought I'd spend my time writing a review of Hostinger because I can't do any work because their email servers are down for "infrastructure updates", which should have been completed 10 minutes ago, but all email is still dead. It is normal for emails to take up to 40 minutes to be delivered, or to not arrive at all. Hostinger is based in Cyprus (I lived there for a few years) and their level of service is typical of the "siga siga" (slowly slowly) culture (the equivalent of the Spanish mañana). I have spent many hours on chat with their staff, who just give pathetic excuses, and suggest that I pay for an email service with someone else, because they acknowledge that their email service is terrible! I have tried repeatedly to get them to shut down my account and give me a refund, but they refuse, even though they are not giving me the service I signed up for. I have used many hosting services over the years (since the 90s) and have never experienced anything as bad as this. I switched to Hostinger because they're cheap and, amazingly, had good reviews. I assume they wrote the reviews themselves. I assume this review would not get published if I used the kind of words appropriate to describe these scammers. AVOID AT ALL COSTS. HOSTINGER IS A SCAM. We'd like to apologize for the bad times that you had while using our services. The main and most important value in our company is Customer. "The customer is always our starting point. We extensively research and strive to understand our customers better. We work eagerly to earn and keep customer trust." That's why we would never try to cheat our customers. Also, if you have any further problems with our services, please contact our Customer Support and let us know about any other issues. [FR]: Hostinger is comprehensive: I used to host my website and I'm proud of it, however there is also the VPS. Returning to the web part that seemed perfect to me: The handling of files and databases is simple, the parameters are easily adjustable and most in all this is that the media responds very quickly and noted the suggestions of members, for example I asked them to add a sub-administrator system and allow other members. They did it! I was subscribed to Hostinger's Premium Shared Hosting Plan from the last three years and I can't recall any time when I regretted the decision to pay for three years subscription at once. There were a few uptime issues in the beginning, but from then on, Hostinger has just gotten better every day. That's the reason why my first recommendation is Hostinger if someone's looking for a good and reliable shared hosting company that's cheap. I was hosting 8 of my niche sites on their Premium plan which is their least costing plan and I didn't notice even a slight decrease in page load speeds of any of those sites. Their backend server infrastructure is strong and reliable. The support is good and helps you even if the issue is not about hosting and related to WP configuration or something else. Though, you might have to wait a little bit longer sometimes in a queue if they have a lot of Live Chat queries. Overall, they are amongst the best hosting service I've used till date. Highly recommended! 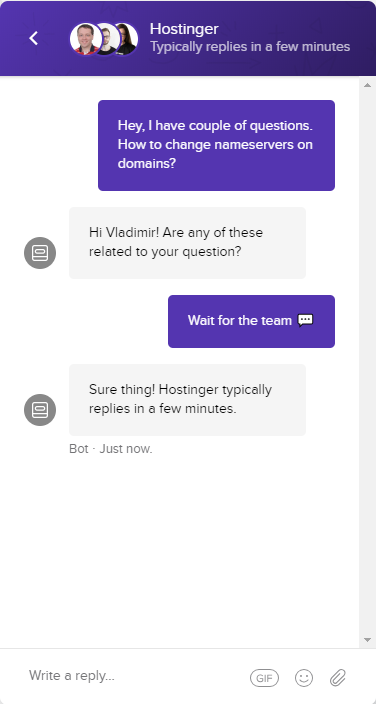 Hostinger is amazing, they have this Live chat feature that let you chat with the support team 24/7. I switch to Hostinger as my main hosting provider because of there great features, the features are better and very user-friendly. It's easy to get started and when not sure, the awesome support team is always ready to help. Hostinger is simple and user-friendly! One of my colleagues recommended using Hostinger as my main hosting provider. I've only heard about this company before but never tried it. Did my research and found out that it's quite a decent hosting provider with an affordable price. I asked myself: why not trust my colleague and try it out? Everything from the purchase to creating my website was just flawless. The purchase was done with a few clicks, no complexity, everything is very user-friendly. Also, I managed to create my own personal website in just a few days, without pushing myself or pulling my hair out. I just absolutely love Hostinger's user-friendliness and simplicity! 5/5 for you, guys! Keep it up! I would say that Hostinger is perfect - their uptime is remarkable, loading speeds are great, prices are also very good. One little thing that I would suggest improving is customer support. It's really helpful, very good, but the con is that you need to wait a little to get your ticket answered. Other than that, everything's perfect! Hostinger has to be one of the best (if not the best) hosting providers in the market. Their stats are GREAT. Haven't experienced any down-time, their response time is just amazing, price is also very affordable. If you ever feel like you don't know which hosting provider to choose, I highly RECOMMEND trying out Hostinger. I am sure that you will be satisfied with their services. I tried them and I'm telling you that from my experience. I’ve bought a business shared account on Hostinger in November. There are a lot of problems with it. 1. It’s true what other people are saying about CPanel, it’s not really CPanel it’a a custom version with fewer options, even for my business plan. 2. They have an import feature in the CPanel which says that you upload your archive of the site and it will be automatically extracted in the public_html. I have tried a lot of times to upload a drupal archive downloaded from the drupal.org site, 13MB archive, without any success. The page remained at uploading and that’s it. 3. They have 2 file managers, file manager 1 that looks more modern, but you cannot edit every text file if it doesn’t have some specific extension like php, css, or js. If it’s a web.config file you have no option of editing it. The File Manager 2 it looks like it was written in 1998 with some strange phpFtp extension and usage. 4. Working with the file system is hard, it really takes a lot of time to write files. Coming back to uploading an archive. I have managed to upload a 50MB drupal arhive using the File Manager 1. It took almost half an hour (and it’s not my internet connection, I have a pretty good one). Trying to extract the archive using the File Manager 1 it was impossible. After one and a half minute I would get an Ajax error (I guess it is due to the timeouts that they have) and the extraction was left in an intermediate state, but nevertheless useless. I tried the operation over and over again with the same result. After connecting using ssh and trying to extract it from the command line the extraction went like hiccups, meaning it would extract a batch then froze for a while then another batch and so on. Eventually it was extracted by hand. 5. MySql import was impossible using the PHPMyAdmin interface. The MySql dump created from another hoting provider (which is was really small I mind you) it was impossible to import. I kept geting timeout. Again I needed to import it using the command line from the ssh connection. 1. I have written to customer support about all these problems and the average response time was 4 days!!! They have the option of getting the support in your language or if you check an option and write the request in English, they say that their English support team will try so solve your issues as quick as possible. All of my tickets were placed twice both in my own language and in English using the special option to no avail. I think it’s worth mentioning that I haven’t received any response to my English tickets, but after I received a response in my own language I would get a message to the English version that I have already received a response to this in my other ticket. 2. When I made the purchase, the business plan had the ‘Deluxe Live Support’ feature. I wasn’t able to find any ‘Live support’ link in my account and after inquiring them about this they said that there is no live support so they were asking me where have I seen this on their site to correct that information. Going back to the offer there were no ‘Deluxe live support’ option anymore only a ‘Deluxe support’. I asked them again what is the Deluxe support I am entitled to and I have received no answer to this day (this was over one month ago). 1. Afer getting my sites up and running without any of their help, after 3 weeks they stopped working. Not that the site themselves were not accessible anymore, but the background tasks that needed some Mysql variables beeing set at higher values, were getting ‘MySql has gone away’ error at each run. Checking these variables in the console, they were set at ridiculously low values, they were even lower than the minimum Drupal requirements specified on the Drupal.org site. Contacting again the customer support I received the message that these variables were not modified and if I need these variables at higher values I should order a VPS instead. I replied that these variables are lower than the minimum requirements for Drupal to be running (for example max_allowed_packet set to 8MB instead of 16MB the minimum for drupal), they replied that in fact it is 16MB. Checking again this value it was of course 8MB and after another message, this value was set to 16MB. Worth mentioning that my sites are still not running. Another problem might be that the mysql timeout was set initially to 10 seconds, now it is 5 seconds. My conclusion, and I might be wrong but considering my experience I don’t have any other idea, is that they sell you something, they try to keep it running for the first 30 days so that you would not request your money back, and after that they modify some server values to cripple your site, proposing you to upgrade to a (more costly) VPS. I would NOT recommend this hosting, not even to my enemy!! We just heard about all the issues you had to face in the recent months and we would like to investigate your case in depth. It is not a usual case for us to get so many complaints not only about our hosting services but also all other features and support! 1. Regarding your thoughts about cPanel. Yes, we have created our own control panel and we call it hPanel. What is the difference you might ask? It’s more user-friendly control panel where many features require only one click of the button! And it’s much faster compared to other hosting control panels. Moreover, website developers with an ordinary cPanel must use a few different member areas if they want to purchase a new product, get help or work on their site. Here at Hostinger, everything is in one place! Once you log in your member area you can reach our support team, order new products or work on the technical side of your website. All of this in one place and easy to access! We would like to note that Hostinger panel has all the most common features (and even more!) compared to other hosting providers. Also, we can assure you that our developers work every day on updates and integration of new features. 2. Regarding your problem with uploads. 13Mb should not be a problem. We have clients uploading way bigger files without any issues. Usually, such problems arise because of a slow Internet connection or incorrect network setup (a computer cannot communicate with our server properly), or if the server is down. However, if you will check our servers uptime Hostinger uptime statistics) you find out that we rarely have this kind of trouble! Though we do not have enough data so we are not able to investigate your case fully but we sincerely ask you to check your Internet connection and contact our Support team. With this kind of information, we will be able to examine your issues in the most relevant way! 3 and 4. Speaking about our file managers you are right! We have two file managers and one of them is pretty old. The reason why we still use it is our primary clients. They asked us to leave an original manager and so we did! We released our new file manager not a long time ago. And yes, we agree, that not all file types are supported. But our developers are continually working on improving and adding extra features to our new file manager. 5. In your review, we see a lot of complaints about uploads. Once again it seems like an issue with the connection between your computer and our servers. We definitely want to investigate this further. Please draw us a line via Livechat or here: Contacts. This would help us a lot to understand! We can imagine how frustrating could be waiting for the help! Our Support team provides help in many languages (sadly not for all our locales yet). They reply in Livechat and solve tickets as soon as possible, but it is worth mentioning that some problems require more time than others. However, we admit that recently we had some delays because of Black Friday sale. We learned our lesson at that time and we are not going to repeat it once again! At Hostinger, one of our goals is to create long-term relationships with our clients. After all, thousands of new clients trust their websites for us every day. Thus we would never change max_allowed_packet or MySQL timeout or any other values important for proper functioning of their websites after 30 days. However, our devops confirmed that we indeed had an issue when incorrect MySQL timeout and max_allowed_packet values were set for 1 server. It seems that values were lowered after server side upgrade, but they were fixed the same day. We sincerely believe that all the issues that made you questioning our reputation were just some kind of misunderstanding and can be solved asap! I am using Hostinger for 3 months now! Their services are amazing, specially the business one where you get unlimited everything + SSH access + 24/7 support. Even though their support their support is quite slow on weekdays where there are many customers, they are working on a fix for this. Anyway, just buy Hostinger and a free domain name for cheap as dirt! Hostinger has some of the best customer service I have experienced in a long time. Prior to using Hostinger’s premium hosting, I had a website running on their free hosting. When I had problems with their service and posted a video about it online, Hostinger themselves reached out to me even though I didn’t even ask for it. Their hosting is also reliable and cheap. I would totally recommend. I have been using Hostinger for 3 months. The experience with Hostinger is really great! First, I would like to appreciate their support. It is super fast and helpful. They have a group of great online-representatives who are smart in DOMAINS, HOSTING, APACHE, PHP, MYSQL as well as EMAIL HANDLING. Also if I open a ticket to ask a question on any topic, they will reply in 10-60 mins. When talking about their servers, they are fast and reliable. Even in their shared hosting, it’s easy to control my server. Creating subdomains, creating new email accounts (webmail), email forwading, managing DNS are super-easy. I really love their file manager. The best think about Hostinger is their custom cPanel which is unique. It’s pleasant and easy-handling. FTP is fine. Manupulating MYSQL database is very because of in-built phpMyAdmin for all the shared hosting accounts. Also, cron jobs work like a charm. Simply, everything is superb at Hostinger. It’s very easy to set up Cloudflare with Hostinger too. I prefer Hostinger. Cheap hosting, free domain, free SSL, online support and more. So, why don’t you choose Hostinger? It is the best! I thought I’d use the time while I wait for a chat support person from Hostinger to get back to me to write a review. I signed up to Hostinger yesterday, attracted by their low prices and “unlimited” everything, as well as a decent review here. I am in the process of moving my site from GoDaddy, who wanted to charge extortionate fees to continue my hosting and weren’t prepared to give em anything more than a paltry 5% discount. Anyway, back to Hostinger. Yesterday I gave up waiting to get through to a chat support person, so left a message on the chat system. I got no response, not even a “we’re dealing with it and will get back to you” email. So I opened a couple of support tickets (for two different issues). That was 24 hours ago, and still I’ve heard nothing back. So, while the prices are good, and the non-cPanel control panel seems absolutely fine, do not for a moment think there is any kind of tech/customer support – there is absolutely none. Nothing. Zero. If you have an issue that can’t figure it out yourself, go elsewhere. We are deeply sorry for your experience. We admit that during The Black Friday and Cyber Monday period our Support Team had some difficulties. However, now everything is back to normal and we are answering chats and resolving tickets as fast as possible! Regarding your review, we do not have enough data to investigate your case, but it is worth of mentioning that not all the issues can be solved in a few minutes. We always try to provide our users with the best solutions, even if sometimes a response takes more time. We have a hope that you will give us a second chance and be one of 29 million happy Hostinger users. Disclosure: We earn a commission if you decide to make a purchase through referral links in this review. Thanks for your support!